Perfect for weekend entertaining with friends and family! Flake your snoek into a medium bowl (using your hands is best), removing any skin and bones as you go – snoek bones are very fine and there are many, so carefully work through the fish to ensure all bones are removed. Add the remaining ingredients to the bowl of snoek flakes and stir well to combine. Season to taste and add a little more lemon juice, if needed. 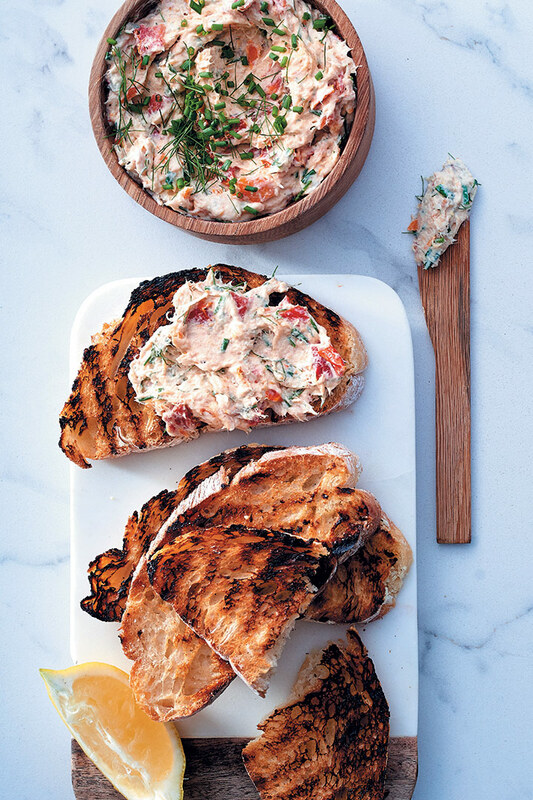 Serve with chargrilled ciabatta slices alongside to carry the pâté. Garnish with a scattering chopped dill fronds and chives.